Have you noticed that autoimmune diseases are out of control in our modern world? It seems as if everyone knows someone who is affected by one of these diseases. In fact, autoimmune diseases are one of the top 10 leading causes of death for women under the age of 65. If the words “autoimmune disease” only bring to mind HIV/AIDS, that is most likely because of the attention that this disease has received. There are numerous forms including: thyroid diseases, MS (multiple sclerosis), lupus, rheumatoid arthritis, Graves diseases, psoriasis, celiac disease, and pernicious anemia, just to name a few. These disorders cause various symptoms and can range from mild to severe. What is the cause of autoimmune disease? There is no one answer for this condition. Many factors can cause a person to develop an autoimmune disorder, and one of them is genetics. But why some genes get turned on for some people, while others do not, remains a mystery. Some of the main causes, however, are man-made in nature. Heavy metal toxins, such as mercury, or toxins from mold, Candida, the herpes simplex virus, Epstein-Barr virus, and chronic inflammation in the body, especially those caused by a gluten intolerance, all seem to play a role. If you are experiencing any of the symptoms listed below, you would be wise to first have a hair tissue mineral analysis to test for heavy metal toxicity in your bod. These studies can show if you have high levels of lead, mercury, or cadmium in your system. These metals have been associated in studies to be the root cause of some of the worst autoimmune diseases including lupus, chronic fatigue syndrome, MS, and scleroderma. Muscle and/or Joint Pain – Aching, burning, or soreness in muscles or joints that you cannot explain; this symptom is common for anyone with an autoimmune disease. Swollen Lymph Nodes – We have these all over our bodies, but the most common places to experience swelling is under the jaw, under the arms, and in the groin area, where the legs meet the torso. Extreme and Chronic Fatigue – This isn’t the kind of fatigue you have after a hard day, but the kind of fatigue that, after sleeping for12 hours, you wake up and still feel exhausted. If sleep does not make you feel rested, you might have an autoimmune disease. 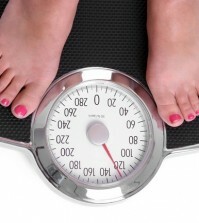 Unexplained Weight Gain or Loss – If your diet or exercise hasn’t really changed but you weight changes, either up or down, more than 5 to 7 pounds, this is generally a sign of an autoimmune disease. Severe Allergies – Does it seem as if you are allergic to everything? Not just pollen, but most foods, perfume, chemical smells, such as cleaners, animals, plants, and/or dust? Many persons with autoimmune disorders have extreme or numerous allergies. Digestive Problems – Unexplained digestive problems such as excessive gas and bloating (so much so your stomach is visibly distended), cramps, constipation or constant diarrhea, and abdominal pain might mean you have an autoimmune disease. Brain Fog – If you find it difficult to concentrate, and feel as if your brain is in a fog, this is another common symptom. Headaches – Reoccurring headaches, severe headaches, sometimes even migraines, can be a sign of an autoimmune disorder. Low Grade Fevers – Recurrent low grade fevers are very common, with many people experiencing these 4 to 6 days each week. Inability to Carry Pregnancy to Term – If you have had reoccurring miscarriages, you might have an autoimmune disorder. Muscle Weakness – A weakness in the muscles, especially involving the hand or thigh is a common symptom. Low Blood Sugar – This is often a sign of adrenal fatigue, which is quite common in those with autoimmune disorders. 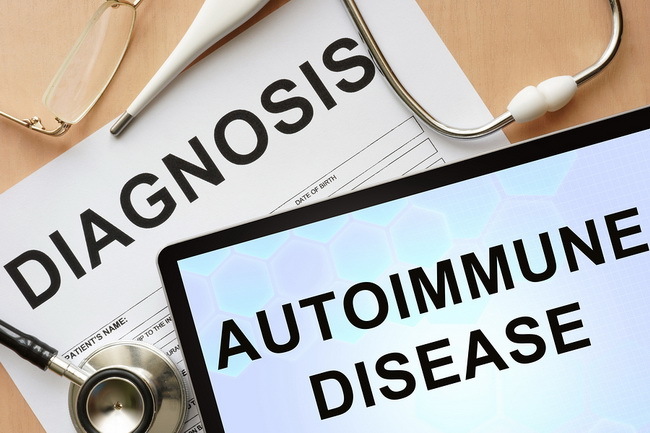 If you have, or believe you might have, an autoimmune disorder, your doctor might tell you that there is very little you can do about it other than to treat the symptoms with chemical prescription drugs.